Posting the latest news about the London Bridge and Borough Market terror attacks in the UK along with a documented list of terror attacks that have happened all over the world. So far 17 different terror attacks have been reported by Wikipedia in the month of June. Here are the links for each month with referenced attacks. Please note the terror events that the main stream media choose to cover. I am sure you can spot the pattern and reason why those events are covered more than others. Six people have been killed and and multiple people are injured in a terrorist "rampage" at two central London landmarks. Three attackers were shot dead by police in the attack on London Bridge and Borough Market. Police said they believed there were no more than three attackers. A white transit van ploughed into a crowd of people on the bridge at speed shortly after 10pm. The three men then attacker people with knives at nearby Borough Market. The London Ambulance Service said more than 30 injured people had been taken to six hospitals. 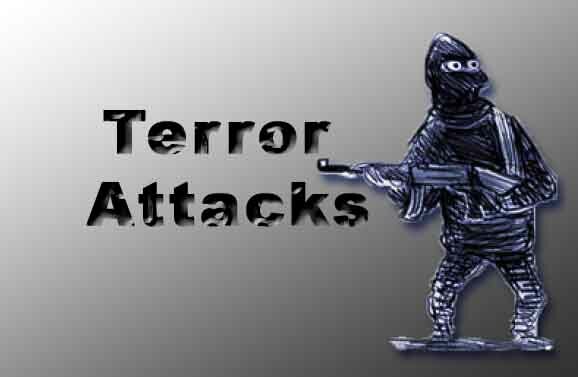 The Metropolitan Police force declared the attacks "terrorist incidents." Hours after the attacks began, a large area of central London remained cordoned off and police told people to avoid the area, leaving tourists and revelers struggling to get home. Bursts of gunfire echoed through the streets - likely from armed police - and at least three blasts rang out as police performed controlled explosions. One picture from the Borough Market area showed a man lying on the ground who appears to have canisters strapped to him. Police later said the men were wearing hoax suicide vests. 31 Bombing 5 7 Kiunga, Kenya Four police officer and a civilian were killed after a bomb exploded outside the town of Kiunga, Lamu County. Another seven people was injured the the blast. Al-Shabaab is being blamed for the attack.